Article first published as Book Review: ‘Gestation Seven’ by J. Stewart Willis on Blogcritics. 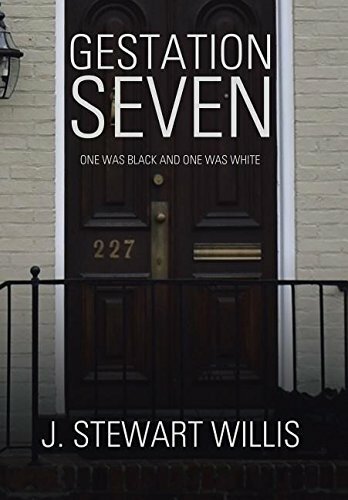 “Gestation Seven: One Was Black and One Was White” by J. Stewart Willis is a suspenseful medical thriller that will captivate and haunt readers from the very beginning. When reporter Mary Murphy stumbles upon a crime scene, she sees two small bundles being carted off by the authorities. These bundles turn out to be holding the bodies of two murdered newborn babies. One is black and one is white. As more information comes to light, Mary takes it upon herself to do whatever it takes to get answers. Her search for the truth ends up opening a huge can of worms. One of the worms is a research scientist named David Neale. He is one of three government scientists who were working on a secret project outside of their jobs. This project was funded by a doctor who was also one of the scientists involved. Their goal was to find a way to reduce the human gestation period from nine months down to seven. Secretly using human subjects, the trio soon discovers that their experiment has gone horribly wrong. One of the scientists takes drastic action resulting in the deaths of two of the babies. He and the scientist who funded the project disappear, but in different directions. David Neale is left holding the bag. His career and marriage are in serious trouble unless he can prove that he didn’t murder those babies. Even then, his reputation is destroyed. He tries to redeem himself by finding answers to what happened, but it looks like it might be too late. I thoroughly enjoyed this story! The idea behind the plot is creative and interesting. The writing is engaging and emotional. As I read, I truly found myself hoping that nothing like this would ever happen! The characters are genuine and well developed. The protagonist David Neale is far from perfect, yet he still tries to find redemption. He does not appear to be a man of great strength or character, yet this makes him seem more real. The reporter Mary Murphy is the strong one in this story. She also has some weaknesses but overall, she is not one to reckon with! “Gestation Seven: One Was Black and One Was White” by J. Stewart Willis is a must-read for fans of medical suspense. It has a uniqueness that makes it refreshingly different. I look forward to more novels by this author.